differential pressure meter . . 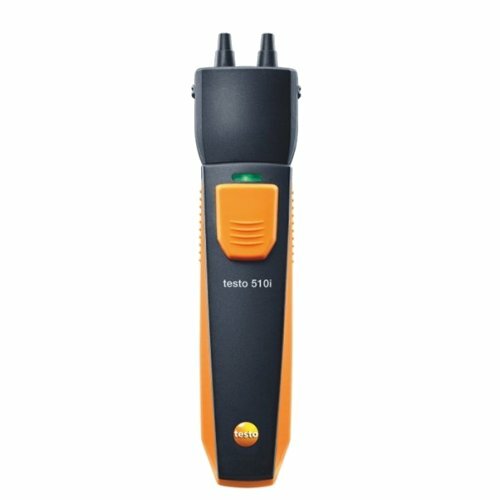 The Testo 510i differential pressure meter is part of the innovative Smart Probe range for use with smartphones and tablets. 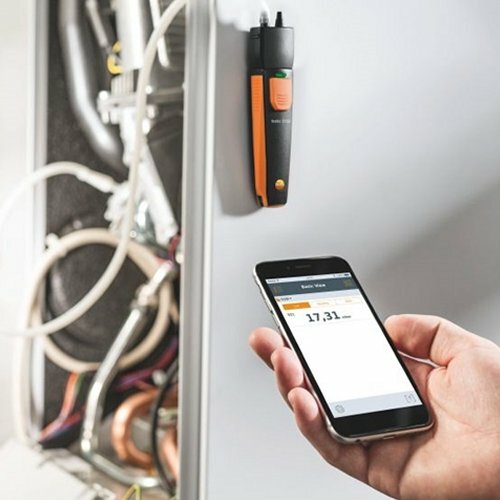 The handy Bluetooth® pressure meter, in combination with a smartphone or tablet, is suitable for measurements of gas flow and static pressure, pressure drops on ventilators and filters, and for pressure-drop tests on gas pipes. 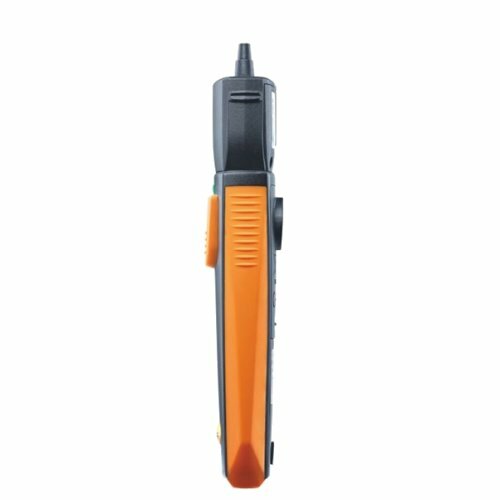 In addition to this, the compact measuring instrument can be used for determining air flow velocity and volume flow.